Welcome to The Limes Residential Home, a private, family owned residential home in Mickleover, Derby, established in 1982 providing permanent or short term Residential or End of Life care for ladies and gentleman over the age of 65 years. 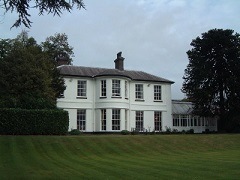 Please navigate through our website to find out more about The Limes Residential Home. You can also use the menu to Contact Us directly should you require any further information. Appointments are not required for viewing the home however Assessments do require an appointment to be booked with Julie Woodhouse, Registered Manager. 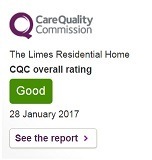 For our latest Care Quality Inspection Report following a routine inspection, click on CQC Inspection Report.